Cross Academy is different from any other school. It has a Day Class and a Night Class, with different uniforms and no interaction between these two classes. Secretly, students of the Night Class are all vampires, led by Kuran Kaname, a noble vampire who 10 years prior saved Cross Yuki from the attack of a stray vampire. 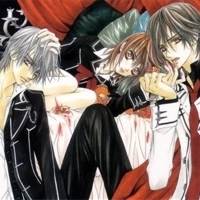 6595 users rated Vampire Knight [TV].